27 Sep 2018 --- Rapidly pinpointing potential food contamination is one of the major virtues of blockchain – that’s why US retail giant Walmart is lauding the benefits of tracking lettuce and spinach through the supply chain using this burgeoning technology. The move is aimed at seriously ramping up food safety following US outbreaks of E. coli in romaine lettuce and salmonella in a number of products from eggs to breakfast cereal. The scale of the food system is so huge, it is virtually impossible for any single entity to track – but blockchain changes that and can increase trust, traceability and security in the supply chain. Walmart and Sam’s Club is urging lettuce and spinach suppliers to contribute to a blockchain database that can quickly and efficiently identify contamination. The suppliers have received a letter requesting that they trace their products all the way back to the farm using blockchain technology. Walmart says suppliers are expected to have all these systems in place by this time next year. spinach suppliers to contribute to a blockchain database. 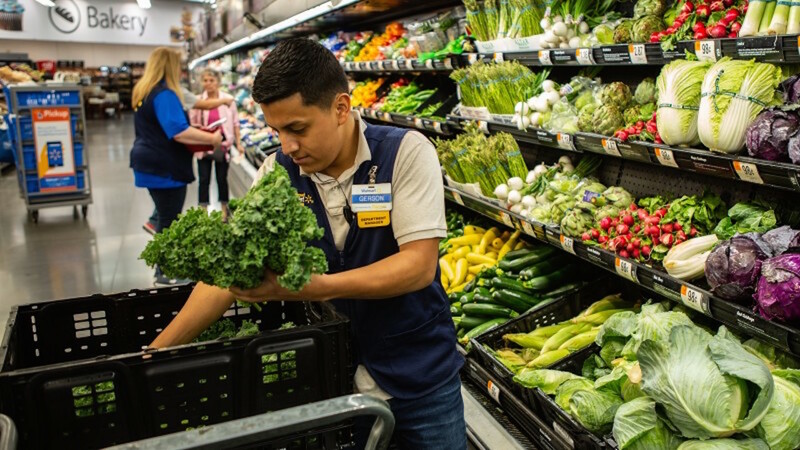 Walmart explains how this year, the US has experienced a large, multistate outbreak of E coli O157:H7 linked to romaine lettuce, and the outbreak resulted in 210 confirmed cases, caused 96 hospitalizations and five deaths. Although the FDA and CDC were able to inform consumers, producers, and retailers that the romaine lettuce associated with illnesses came from the Yuma growing region, in general, health officials and industry professionals were unable to quickly determine which lots were affected and which were not. 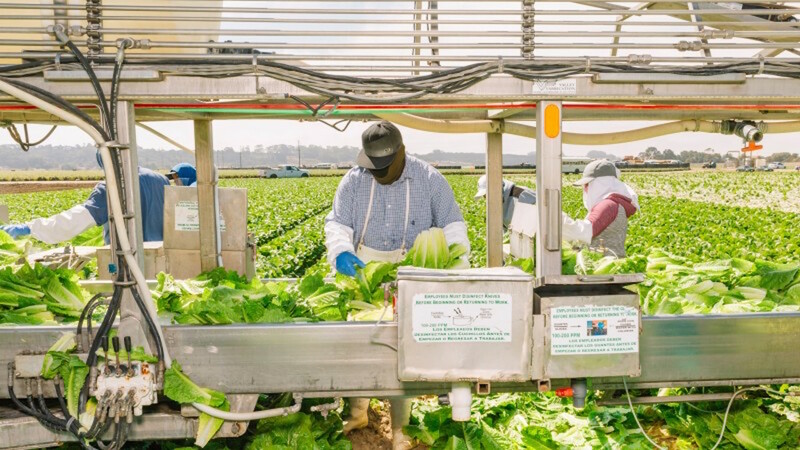 This resulted in millions of bags and heads of romaine lettuce having to be removed from the marketplace and a loss of consumer confidence in romaine lettuce, regardless of growing region, as well as negatively affecting the economic livelihood of many, including farmers. Walmart says that the “current one-step up and one-step back model” of food traceability is outdated and by working together with its suppliers, tracking models can be much improved. “There is no question that there is a strong public-health and business-case for enhanced food traceability. By quickly tracing leafy greens back to source during an outbreak using recent advances in new and emerging technologies, impacts to human health can be minimized, health officials can conduct rapid and more thorough root cause analysis to inform future prevention efforts and the implication and associated-losses of unaffected products that are inaccurately linked to an outbreak can be avoided,” the letter continues. Walmart has been piloting new technology in collaboration with numerous suppliers and IBM over the last 18 months to demonstrate that meaningful enhancements to food traceability is possible. Walmart Food Traceability Initiative – How does blockchain work? Walmart says that all fresh leafy greens suppliers are expected to be able to trace their products back to farm(s) (by production lot) in seconds – not days. To do this, suppliers will be required to capture digital, end-to-end traceability event information using the IBM Food Trust network. • Direct Suppliers – direct suppliers are required to conform to one-step back traceability on the blockchain network by Jan 31, 2019. • End-to-End – thereafter, Walmart suppliers are expected to work within their vertical systems or with their suppliers to enable end-to-end traceability back to farm by September 30, 2019.
to trace their products back to farm(s) (by production lot) in seconds. Blockchain is a system of record-keeping that is open to users. When data (or block) gets entered into the chain, other computers in the network are notified which makes falsifying information very difficult, because the change of information is open for all to see. Information can be captured on the farm with a handheld system and can also be captured at the packing house at the supplier. Blockchain is considered such a game-changer in terms of food contamination and traceability because it’s so accurate and trustworthy. Instead of taking a week to track down vital information about potential Salmonella in a product, blockchain tracking takes only a couple of seconds. “Enhanced ability to trace a contaminated food back to its source will help government agencies and companies to identify the source of a foodborne disease outbreak, coordinate more effective recalls of foods thought to be contaminated, and learn where past problems began. We think these steps will strengthen future prevention efforts and better protect the public’s health from the threat of foodborne illness,” says Robert Tauxe, MD, director of CDC’s Division of Foodborne, Waterborne, and Environmental Diseases. 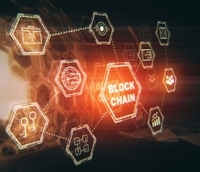 FoodIngredientsFirst has previously coverage several ways in which the food industry can harness the power of blockchain technology. Read more here and here.